Out of all the mattress brands on the market, Tempur-Pedic probably has the best reputation. Its products are long lasting and conforming. Sealy Posturepedic is a recognized name as well. For an innerspring brand, it performs quite well at more budget-friendly price ranges. The battle of Tempur-Pedic vs. Posturepedic is explained in more detail below. Generally, the only negative thing about this brand is its price. You’ll spend as much as 50% more compared to similar mattresses, but it’s the benefits you have to consider. A mid-level memory foam model below $1,200 will be hard to find. Higher end units can go for $8,000 or more. With a high price point, you get a long-lasting mattress. Models in this brand typically last for 10 years or more. They last significantly longer than similar entry-level mattresses while the longevity advantage can be seen in mid- and luxury-level ones as well. Premature sagging and softening is quite rare. You probably won’t see this within four years, but Tempur-Pedics still can wear as they age. After years of use, sagging, softening, and body impressions can occur. These products are less likely to sag than innerspring mattresses. This brand also offers a few collections. 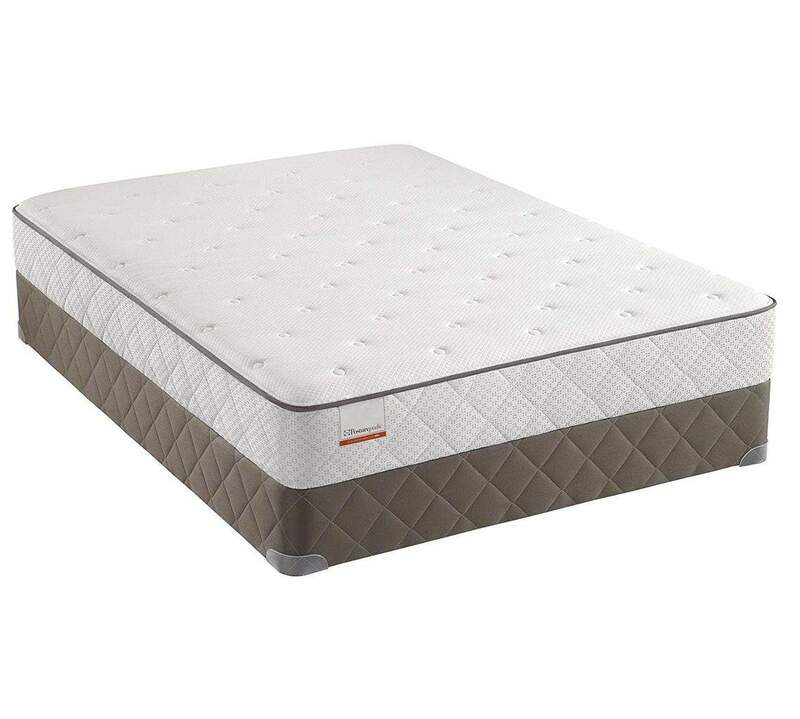 The Contour, Cloud, and Flex are high-quality memory foam units. Choice is a memory foam and air hybrid. With air support, sagging over time is less likely. The tradeoff is potential leaks and pump breakdowns but these can be repaired without complete replacements. Tempur-Pedics have a high potential to relieve and eliminate pain, whether you’re in bed or getting up. The availability of various foam densities enables you to find a model that’s right for you. We found that some mattresses give off an odor when new, but most of the time this wasn’t a problem. Even if, it only lasted for a couple of days. Contour models can absorb and retain heat more often, but a few percent of users of all collections reported a little bit. Most of the time this isn’t an issue. For high density models, temperature sensitivity causes beds to be firm at first and soft at higher temperatures. If you like the mattress to mold to your body then this is a good thing. Depending the model and collection, you’ll find something good for back, side, or stomach sleeping. They’re all quite good for motion isolation and for reducing tossing and turning at night. Another perk is the warranty. You are covered if the mattress sags more than .75 inches, according to SLTD. In general, owners are quite satisfied with these mattresses compared to most other varieties. More details about Tempur-Pedic mattresses can be found on the company’s website. Tempur-Pedic mattresses come with few cons, except for the pricing. Noise is usually not an issue except with Choice air pumps and sometimes Flex models. Even this is quite rare. The mattresses themselves are silent, but foundations can creak if poorly assembled. Although the company has a good reputation, it is often not totally open to revealing every specification of its mattresses, such as foam thickness and density. Posturepedic is known for its firmness and comfort options for innerspring models. This variety of mattresses has shorter longevity overall and tend to sag over time. The low- to- mid-level brand by Sealy is quite popular, however. Essentially hybrid models, they feature regular foam, gel-infused memory foam, and regular memory foam layers atop the spring system. The three basic models include Posturepedic, Plus, and Hybrid. These represent one of the highest rated innerspring mattress brands on the market. While some people experience sagging, protruding springs, and body impressions within three years, this brand lasts on average 6.3 years based on an SLTD study. This is about average for innerspring mattresses used regularly. In Tempur-Pedic vs. Posturepedic, price is also a big difference. These Sealy mattresses start at around $400, with the most affordable models being ones with little padding. They can range to as high as $2,200. New mattresses are good at reducing pain. The support is sufficient at minimizing pressure points, but these qualities decline as the mattress ages. Posturepedic models have a high coil count and conforming material that initially give owners good support. Hybrid units have the highest conforming ability. Motion isolation varies with the model, but all perform better than other Sealy brand mattresses. Just a small percentage of owners say there is substantial heat retention, which does vary according to model. There is less noise than with the Sealy brand overall, which is not typically a big problem. If you opt for a mattress with a thicker comfort layer, it may be harder to move or get off it. Models 10 inches or thicker may be problematic for some as well. Also, the thicker and more expensive the model, the heavier it tends to be. A trait of all Sealy mattresses is their one sided design. You can combat limited durability by rotating the unit. Sagging, wear, and compression can be delayed somewhat by doing this. A typical Sealy mattress can be warrantied for as little as three years. Posturepedic model’s, however, have a 10-year, full non-prorated warrantee. For a full replacement, the model has to sag at least 1.5 inches. In comparison to other dealers, Sealy has above average customer service and product claims accuracy. It makes comparison shopping easier by disclosing thickness, mattress composition, and other specifications. The good thing is that, while longevity is limited compared to other more expensive models on the market, so are reports of odor and heat trapping. Quality is initially part of the Posturepedic experience. Long-term durability is average or slightly less compared to mattresses overall. Nonetheless, you can save quite a bit on your purchase. Tempur-Pedic is great if you’re looking for lasting support and comfort and high quality memory foam. Posturepedic, on the other hand, is better if you are looking to save money and have sufficient initial support. Both have various options when it comes to foam thickness and density to meet your specific comfort needs.